Welcome to O'Kellys Irish Pub. Scroll down to see what amazing special offers we have lined up for you this week, as well as what live sport we will show and when we plan to open and close. Moe presents his popular & famous Pub Quiz from 20:30 every Monday night. Win cool prizes just for knowing stuff! There are prizes for the winners as well as lower-ranked teams, so there are plenty of chances to win. Bring your cleverest friends with you and get here early (ideally circa 19:00) as tables fill up very, very quickly. Tuesdays are Beer Bottle & Shot Nights in O'Kellys. 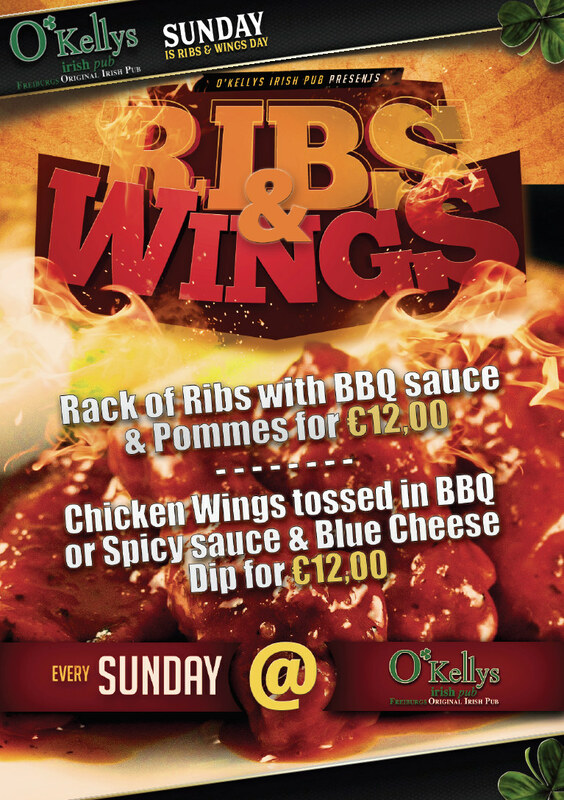 Wednesdays are Beer Bottle & Shot Nights in O'Kellys. From 21.00, Sean hosts Bingo. Win loads of cool prizes just for crossing out numbers! Tbc = To be confirmed. Sport schedule is only a guide. 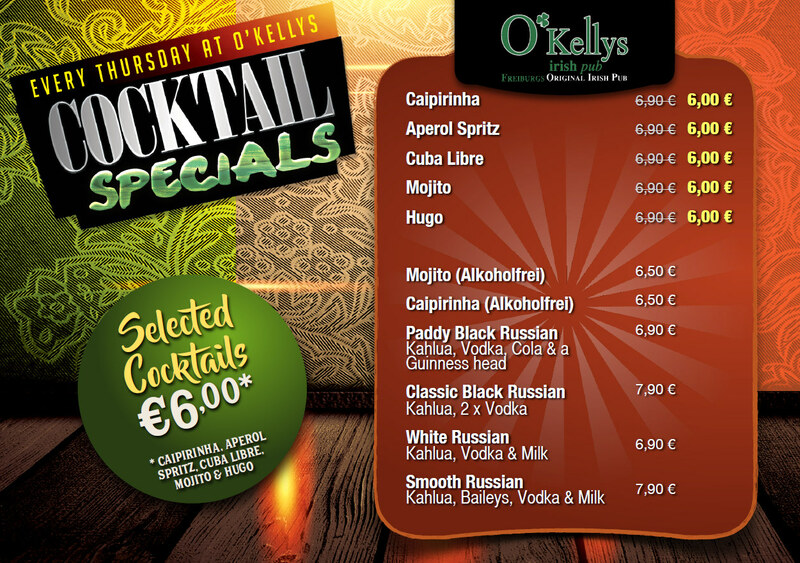 O'Kellys is situated beside the city theatre & is only a three minute walk from the train station. It's easy to find, & once you have, it's hard to leave.